Arranging a secured loan with Pawnbrokers Today is simple and efficient. With our expertise we can offer the highest loan amounts against your valuables with complete discretion. 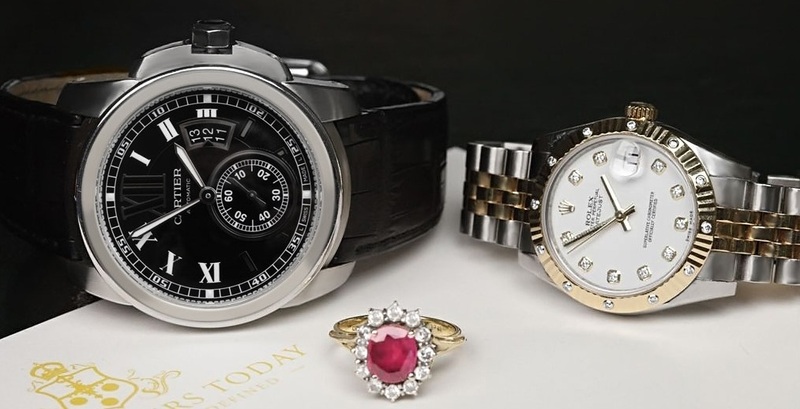 Pawnbroker Today also provides a wide range of services and is pleased to offer instant cash for jewellery, gold, fine timepieces and more. Call our 24 hr help line 020 7486 5981 for more details. Our pawnbroker store in the heart of central London provides easy access for our clients. Pop over and our experienced friendly valuers can provide you with an instant cash loan against your valuables now! We are located just off Marylebone High Street within easy reach of three central London tube stations: Bond Street, Oxford Circus and Regents Park. Please refer to the map for exact location. In this section you will find helpful answers to some of the questions you may have regarding the loan process. Should you have any other enquiries do not hesitate to call us free on 020 7486 5981. What items can I use to obtain a pawnbroker loan? What items do you not loan against? Will you lend against damaged items? Why should I use your company for a secured short term loan? How quickly can I obtain my loan? Is the loan process with Pawnbrokers Today private? Do you carry out any credit checks? Will NOT repaying my loan affect my credit rating? How will you appraise my valuables? How long does the contract run? Secure a short term loan against your valuables with Pawnbrokers Today. Call our 24hr free helpline on 020 7486 5981 or pop into our central London shop to raise money quickly. Our experts at Pawnbrokers Today can value your items to determine its highest market value and offer immediate cash payments. Sell your art, antiques or fine watches to raise money now. Do you have fine art or antiques you wish to sell at an auction house but need cash now? Our consignment loan service is the perfect solution. Secure a cash loan against your assets today. Sell your unwanted gold and jewellery to Pawnbroker Today and receive the best cash price. We buy scrap gold, gold coins, and gold bullion. Contact us for a postal gold pack or visit us today. Unfortunately we are no longer providing pawnbroking loans. We still offer instant cash for any gold, fine watches, luxury handbags and jewellery you wish to sell. Call or visit us for a Free Valuation today.